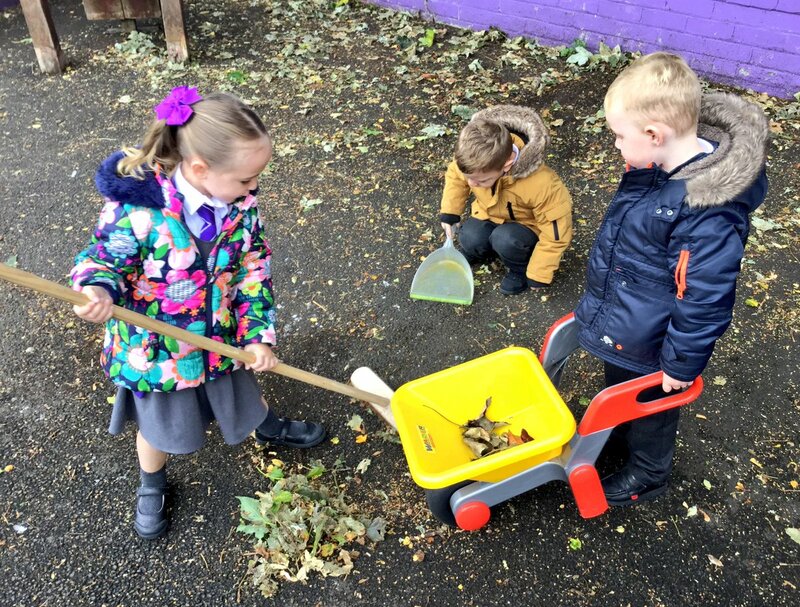 During our learning time today we spent the time talking about the changes in the weather and the leaves in the outdoor area. 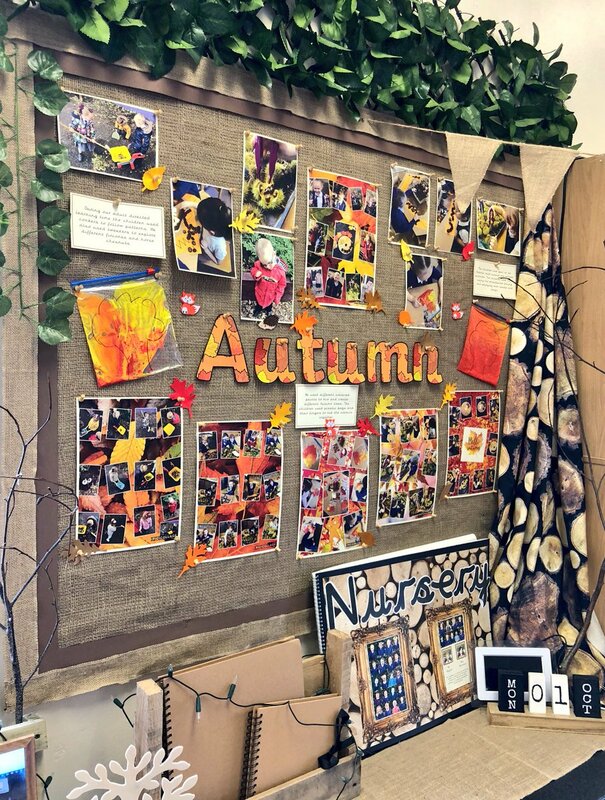 Building on last weeks' learning about Autumn the chidlren took part in a range of activities including; Autumn walk, gathering leaves, brushing and cleaing the playground of leaves, mixing paints to create autumn colours and gathering sticks for our 'Three Little Pigs' story. 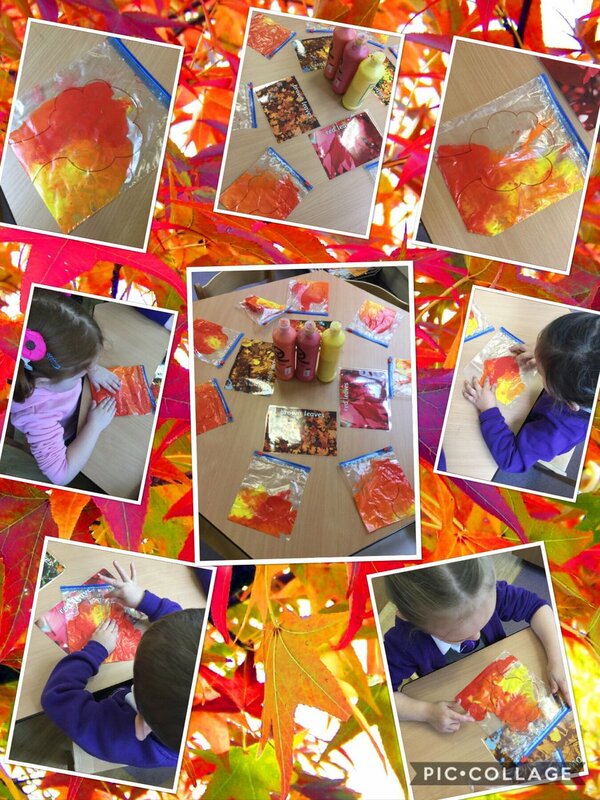 In addition to our learning about Autumn the chidlren listened to the story 'The Three Little Pigs'. 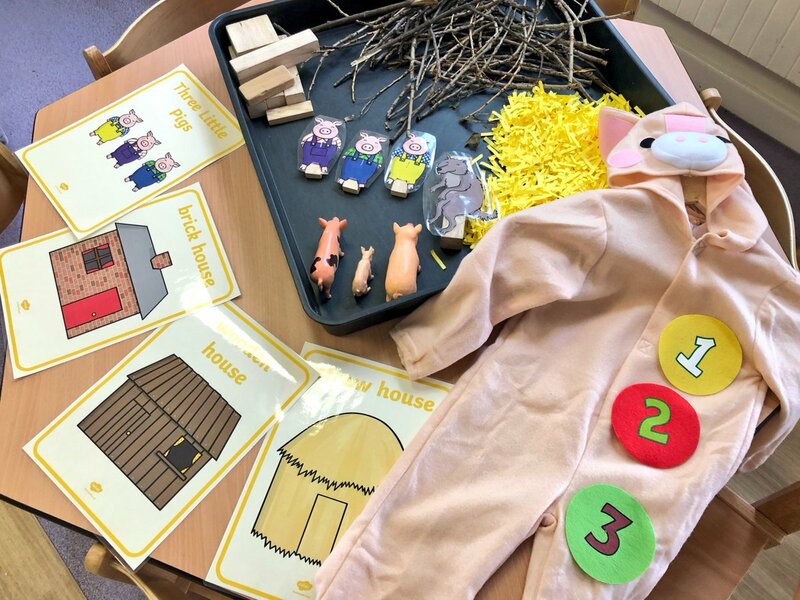 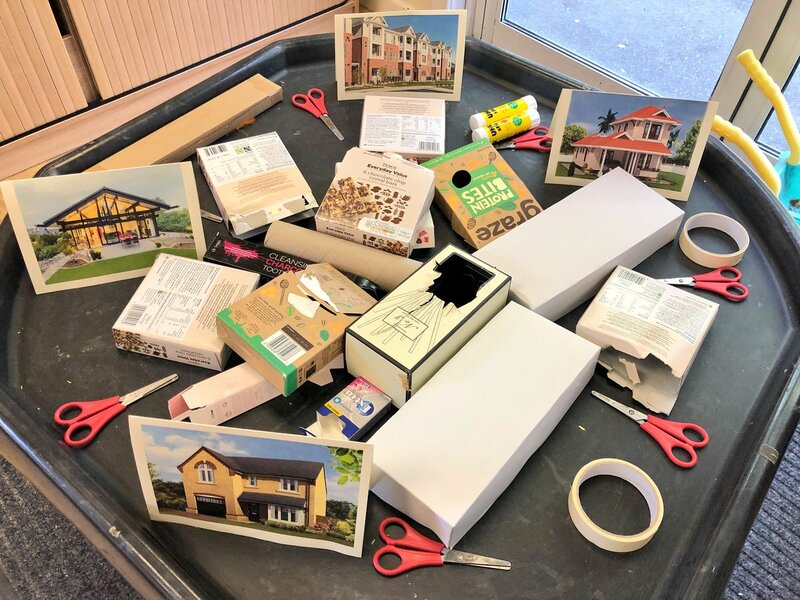 During our adult directed learning time the chidlren took gathered resources to build houses for the Three Little Pigs. 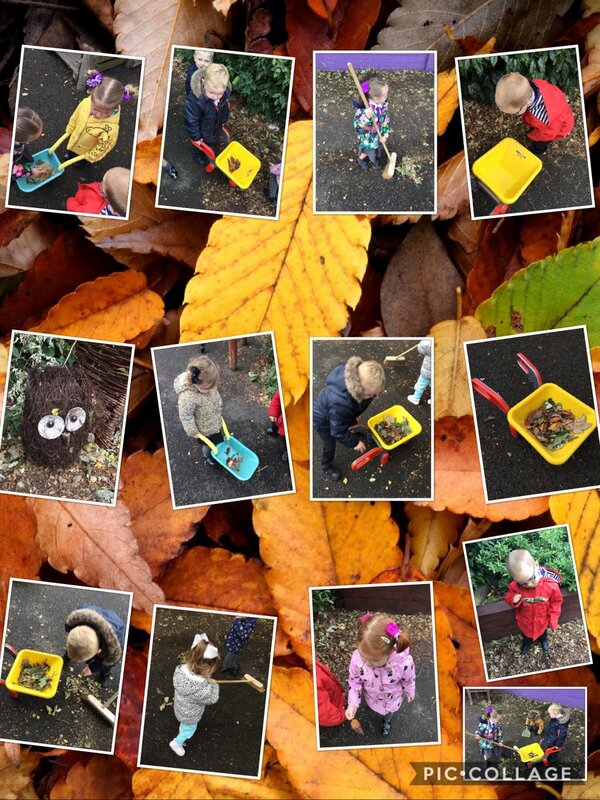 We explored the tyre park for sticks and different materials to build a range of houses.